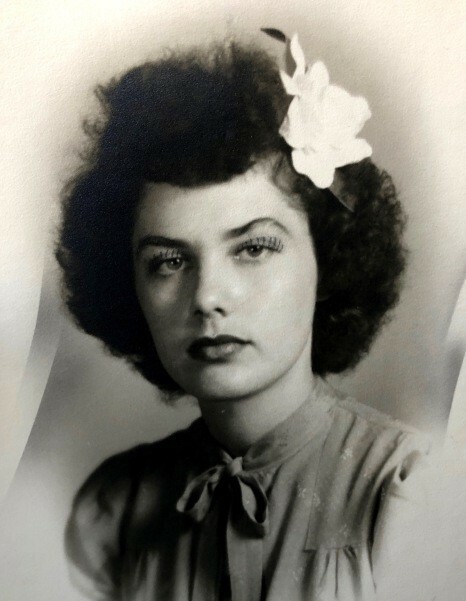 Geneva Lyda Herman, 91, widow of Billy Lee Herman, of Greenville, passed away Friday, February 8, 2019. Born in Greenville, she was the daughter of the late Grover and Eula Lyda. Geneva loved flowers, mostly roses, and was a collector of beautiful vases and lamps. She enjoyed watching the Waltons with Miss Ducky, her pet duck. She loved God, her family and holiday gatherings. When God called her home, she took all our hearts with her. But now she has a new body and is able to walk again. She is survived by two daughters, Reba Lindsey and Revette Allen; two sons, Russell Herman and Randall Herman; eleven grandchildren; fifteen great-grandchildren; nine great-great grandchildren, Miss Ducky the duck; Ginger the cat; and many more beloved friends and family. In addition to her loving husband and parents, she was preceded in death by a son, Richard Herman. The visitation will be held Monday, February 11, 2019 from 6:00 p.m. until 8:00 p.m. at Thomas McAfee Funeral Home, Northwest. A funeral service will be held Tuesday, February 12, 2019 at 12:00 p.m. at Thomas McAfee Funeral Home, Northwest Chapel. Burial will be held in Graceland Cemetery, West. Condolences may be made to the family by visiting www.thomasmcafee.com.